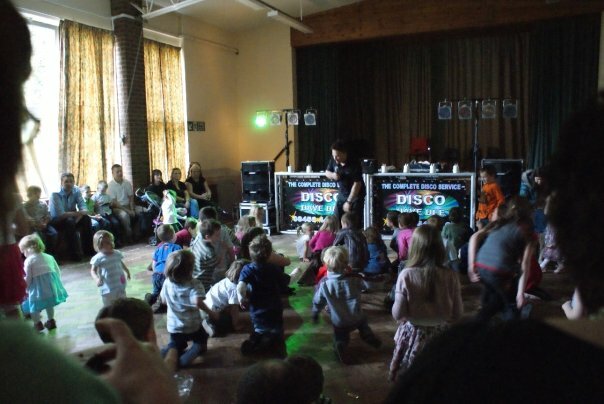 Children’s Disco with DJ Dave Dee – Sunday 5th April 2009 raises £370! 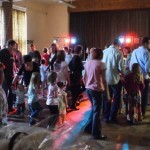 We raised £370 at the children’s disco and everyone seemed to have a great time. 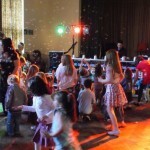 DJ Dave Dee (www.davedeediscos.co.uk) did a great job getting all the kids (and some of the adults!!) 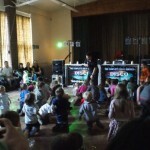 up and involved with lots of dancing and games. Thanks to everyone who came and bought friends and family with them, we really do appreciate your support and hope all the children enjoyed themselves. Tracey, Ellie, Millie and Madison for all those beautiful handmade cakes and biscuits and for manning the tuck shop! Caroline and Jackie for a fantastic job serving all the teas and coffees! Christine, Mark and Ellie and Ciara and Lottie for running the tombola and mini games! Isabelle and Madeline and Ellie Ashton and Ellie Ricketts for making the posters and even more cakes! Cathy, Liann, Suzanne and Caroline for their very kind donations to the raffle and tombola. Twycross Zoo, Hatton Farm World, Ash End House Farm, TGI Fridays and Mini Golf at Star City for there very generous raffle prizes. Thank you to everyone, we really do appreciate your help and couldn’t have done it without you.